The resources on this site will help you build the business you have always wanted by leveraging the Internet and building systems to set you free. We can all lose sight of why we started our business in the first place (I sure have!). Or even worse, you start thinking small and start feeling like you are the only one having the problems you are having in growing your business. But get this! YOU were born into a time when anyone can sculpt a life they want. It all starts with the Internet... it will help you leverage your business, get you in touch with an amazing support network and a fan base already Googling for what you have or want to create. Work smart not hard. Do what you love. Decide who you work with. Choose when and where you work. Not sure what to do next to improve your business online? These free tips will show you what to do. I have worked with big brands and built businesses since 2000. I was the shy kid with big dreams of being an actress, performer and artist. One day when I was sitting at the campus of San Diego State University where I was taking classes to get an art degree I had a wake up call (his name was John). He questioned how I might make money with that sort of degree and was I doing it because I was scared to be more. The next day I changed my major to International Business. My first business produced and promoted art, fashion and music events in Southern California. I desperately wanted to showcase the artists and entertainers we represented online so I taught myself web design back in the 90's. As my network grew I was asked to be the fashion editor for a San Diego magazine during this time...and WOW did I learn some interesting lessons about managing teams and making things happen on a shoestring budget! While all of this was happening I had a "day job" working in IT for motivational speaker Tony Robbins where my pay check helped fund my production company. When some of his production team came to one of my events (not knowing I was producing it)...well, let's say I was invited to move from IT into the events team for Tony. And yes, he is just as intense offstage as he is on. I began to understand (and see) human potential for the first time, and how many of us waste what we have. Working with Mr. Robbins also started my love affair with travel that stayed with me for the next 10 years and allowed me to work in over 25 countries running events for him and other top speakers. After seeing so much of the world I fell in love with Australia and decided to relocate to Sydney from California in 2003. I remember that moment well...I was sitting in a boat in the Gold Coast of Australia after we had wrapped his Date with Destiny event. I was with some impressive people...a journalist, entrepreneurs, a socialite...and in that moment I knew that if I did not change how I was living my life I would end up with a life of regrets. Funny how working for the world's most well known motivational speaker gets you thinking. I decided to move to Australia to be brave and push myself to be more. I broke off a 7 year relationship which was holding me back, sold my silver Honda Civic Hatchback (I lived on that cash for my first 3 months in Sydney! ), and took off to the wonderful land of Oz not knowing how I would stay or what I would do for money. Once in Australia I became a bit obsessed looking for opportunities (and if you want to know how I got my visa you will have to email me ;). I managed a national Life Coach Training company, built and ran a volunteer staff program for a Promoter in Oz and the UK, ran a book launch tour in Oz for an American Author, become a 25% shareholder in a vintage jewellery company that failed (Oops! ), and even volunteered as Event Director for the well-known Aussie brand Business Chicks right as it was going into high-growth. Then I moved on to co-found and serve as the Managing Director to the Billionaire Adventure Club which was an adventure travel club for small business owners to hang out with business mentors and participate in philanthropic work in 8 developing countries. We even had the privilege of working with charities such as Richard Branson’s South African School for Entrepreneurship! I am incredibly grateful for these experiences...and even the painful lessons along the way. With Hollywood Producer Gary Goldstein in Belize. With Speaker Chris Howard in Los Angeles. With Speaker and Entrepreneur Johnnie Cass in Holland. With CEO of Business Chicks Emma Isaacs in Sydney. With Entrepreneur Keith Cunningham in Peru. With Copywriter and Entrepreneur Perry Belcher in Texas. 10 years of travel can really take a toll on you and your relationships. In 2007 I started dabbling again with the internet knowing that my rockstar lifestyle was due to phase out soon if I did not want to crash and burn mentally and physically. I dusted off my beginning knowledge of web design and HTML from the '90s, learned about CRMs and all the newest strategies in online marketing and built an online community packed with loads of videos and resources that had 18,000 members at launch! And from there I knew online marketing was where I wanted to stay. I suddenly started getting a lot of referrals for the online projects I was a part of so I co-founded the digital marketing agency, Autopilot Your Business, in 2010. Through this business I am co-host of a podcast listened to in over 80 countries, have authored a couple of bestselling books on Amazon, and enjoy speaking (back to my dream of being a performer :). I have been through one hell of a bumpy ride, from building a team of 30 in the Philippines to letting go of our biggest clients without having a safety net because I was building a job and not a business. We now have amazing savvy clients all over the world using our website and marketing services or learning how to grow their businesses in our Digital Traffic Institute. In Egypt with my business partner Andrew McCauley (this is the trip where we decided to go into business together!). In the Philippines with some of our team. I love speaking. Here is a gig I did in Sydney for Girl Power. Andrew and I recording one of our podcasts in front of an audience at one of our Autopilot LIVE events. The first cover of our digital magazine "Online Footprint". Filming for the 'From Corporate to Entrepreneur' project I am a partner in. I hope my story helps you to dream bigger and push harder (it is in you!). I hope it paints a picture of what I know and what I have been lucky enough to experience in case you want to stick around and learn from me or work with me. My commitment is to bring you the very best of what I’m doing in my life and business right now and to share real results and ideas that will work for you. I look forward to 'hanging' out with you online. 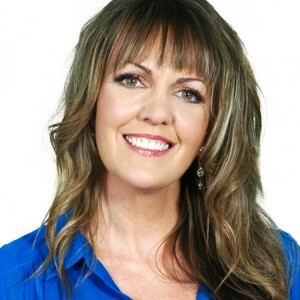 Heather Porter has promoted and managed events in over 25 countries for her own music and art production company and for some of the world’s most well-known speakers such as Tony Robbins. She then Co-Founded the Billionaire Adventure Club where she connected entrepreneurs with mentors and worked with top charities such as Richard Branson’s School of Entrepreneurship and Madonna’s Raising Malawi. In the midst of all of her travelling she relocated to Sydney from California. She began consulting as an online strategist to build systems for the speakers and entrepreneurs who crossed her path. In 2010 she Co-Founded the digital marketing and publishing agency, Autopilot Your Business, which specialises in automating businesses online. She also is a Trainer for the Digital Traffic Institute, co-host of a marketing podcast with fans in over 80 countries, #1 Amazon bestseller and co-author of 4 business books, and regularly speaks on topics from social media to business automation.